This beautiful entertainer's paradise, set on a freehold 594m2 (approx.) section is sure to please. Spacious and sunny contemporary design family home not only offers a flexible layout but wonderfully harbor views from the upper level too! Spread over two levels, and graced with five bedrooms, two bathrooms (including one en-suite), and two living areas, it is a home that will serve all your family's wants and needs for years to come. The modern kitchen is the heart of the home and flows to a dining room, spacious living room, and out to an expansive deck and landscaped garden- ideal for summer BBQ's and entertainment. A double internal garaging plus extra off- street parking completes the picture. Elevated and private, set back from the road in a quiet position in a magnificent residential area. 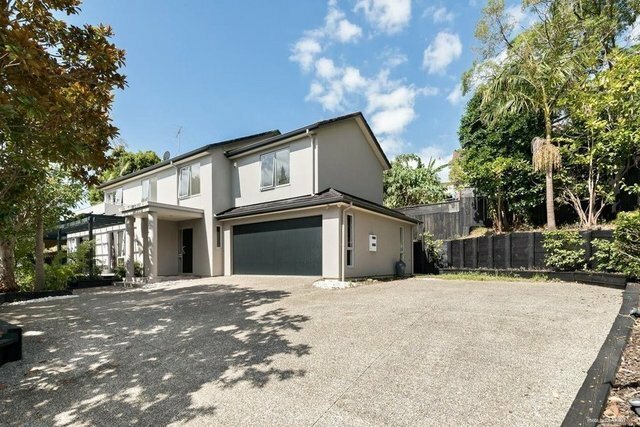 Desirable location, with close proximity to the Okahu beach, Eastridge, Remuera, Orakei domain, CBD, and handy to restaurants, cafes, shops, schools and leisure areas- embrace the lifestyle that only Eastern beaches can provide. A home with a difference, a desirable place to live. A "walk to everything" lifestyle beckons. Come and be smitten. Early inspection recommended.